SBI CSS template 3 column templates for SBI and Easy Blogs. 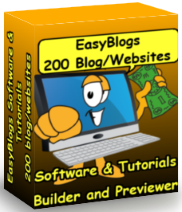 Learn how easy it is to use, step by step graphics and illustrations included. SBI CSS Template - select the template that matches your look and feel or go wild (like I did) and create an all new look for your website/blog. Turn your whole website into a full blown blog. Get all of SBI's functionality built right in. Are you just looking for advice? Already have a template and would like instruction on how it works. Interested in getting some help with design and build? Use the "request a consultation" form below. Recently released for upload your own HTMLers for Site Build It websites. What makes this template special is that it is a generic. One HTML file fits all of the new 120 templates from iDesign3. The styling is done in the css file. That makes the template interchangeable with a simple swap of css style files. What differentiates this SBI css template from the next one down is the extensive use of server side "Include" files. The tags that looks like this **include.shtml** make a call to the server that uses an external file to fill in the affected area. This allows designers greater flexibility especially when doing site wide changes. Looking for free advice on your current template. Request a Consultation. Includes SBI's most popular features. Perfect for transitioning from block builder to Upload Your Own HTML (uyoh). This template has all the features of Site Build It, built right in. 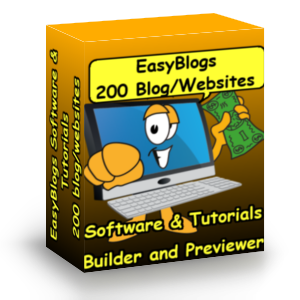 Plus all the added features of Easy Blogs. Initial usable area is 960px. Check it out. Do you have an existing template that you need upgraded? Request a Consultation. Designed and built to your specifications. This SBI css template is set up as a mini-website. Comes complete with catalog and articles sections designed to flow like a website. Ideal for adding a third column to your existing template. Actual usable area is 800px but can be adjusted to any width. The concept here was speed and accuracy. This 20 page mini-website went from concept to completion in 2 weeks. Extensive use of the category option was used to make the different sections. This website/blog was developed to be scaleable. The ability to put blog entries on a separate page allows for greater flexibility. This website can expand in many directions and be totally integrated automatically as it builds. Automatic text link navigation is a plus that saves hours of time. Go ahead take her for a spin. For a custom designed template please contact us for a consultation. NOTE: You will need to have AJ's fixed or fluid width 3 Column CSS templates for the Easy Blogs fixed and fluid width templates to work. Don't want to do it yourself or don't have the experience? Request a Consultation. This is AJ's fixed width template for Easy Blogs. This template is all set to plug and play on your website. All the attributes of Easy Blogs and AJ's fixed width CSS template are programmed in, all you need to do is make sure the CSS file name is right. This is for AJ's 3 column fluid width CSS template for SBI. You will need to own AJ's template package for this to work. 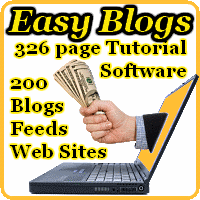 Easy Blogs plugs right in to your existing SBI template. Take on all the same attributes from your current css files. Create your own blog with your SBI look and feel. Do you have an existing template that you need upgraded? Don't want to do it yourself or don't have the experience? Looking for free advice about these templates. Use this form. NOTE: After payment you will be directed to the next page for instant download. Make a note of your selection so that you can find it on the download page.